Body in Channel wreckage identified as footballer Sala - SABC News - Breaking news, special reports, world, business, sport coverage of all South African current events. Africa's news leader. The Argentine striker's body was first spotted by rescuers with a remotely operated vehicle (ROV) on Sunday. 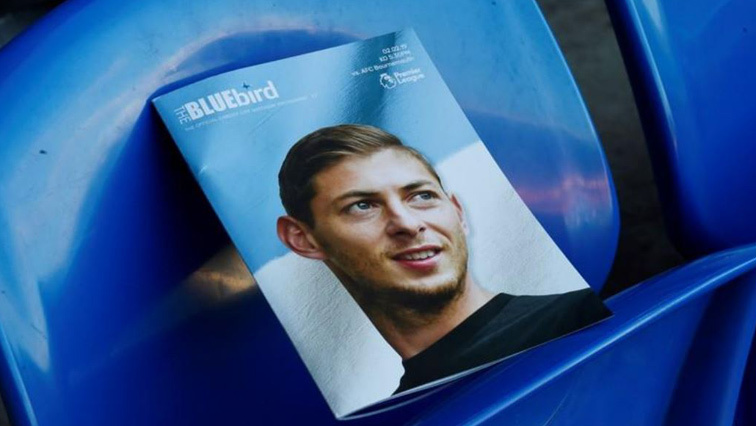 “The body brought to Portland Port today has been formally identified as that of professional footballer Emiliano Sala,” police in Dorset, the county where the body was taken, said on Twitter. “What sadness, this is the worst news. Rest in peace warrior,” he tweeted. Argentinian President Mauricio Macri also offered his condolences to Sala’s family following the “painful news”. “We are with you,” he added. While the small Argentinian town of Progreso, where the footballer lived for most of his childhood, was left “very affected”. The AAIB was unable to recover the plane due to bad weather and as a result was closing down the operation. “The weather forecast is poor for the foreseeable future and so the difficult decision was taken to bring the overall operation to a close,” it said. It said that extensive video footage captured by a remotely operated vehicle is expected to “provide valuable evidence for our safety investigation”, adding that it intends to publish an interim report on the accident later this month. The plane, a Piper PA-46 Malibu, vanished from radar around 20 kilometres north of Guernsey, with Ibbotson the only other person aboard. After the official rescue team gave up their search, saying there was little chance of finding anyone alive, Sala’s family raised more than $422 000 in an online campaign to pay for a private hunt. This entry was posted on 08 Feb 2019,08:12AM at 8:12 AM and is filed under Sport. You can follow any responses to this entry through the RSS 2.0 feed. Both comments and pings are currently closed.